In 1869, the Dickinson College Mission Society purchased a lot on the corner of North and East streets which was formerly owned by the Plank family. The cornerstone of what would become the Biddle Mission Church was laid in the same year and was owned by the Dickinson Mission Society until 1873. A Sheriff’s auction sold the land to Andrew Bair who passed the deed to Mrs. Mary Baird Biddle. Biddle Mission Church founded in 1873 by Mrs. Mary Baird Biddle who dedicated it to her son Jonathon Biddle. It was a place for children to come learn about religion. In 1888, Mrs. Biddle sold the property to the Presbytery of Carlisle for $5,000. 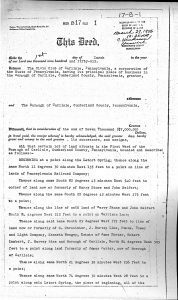 On November 18, 1940, the park land was sold by the Carlisle Trust Company to the Civic Club for $1.00. This is where it remained until 1956. 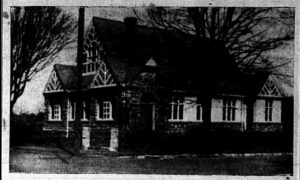 The 75th Anniversary of Biddle Memorial Mission Chapel was in October of 1944 and the church was featured in The Evening Sentinel. In 1951, the Presbytery was recommended to sell the Property. They sold it to the Christian and Missionary Alliance Church. Biddle Mission Playground lot was purchased by the Borough from the Carlisle Civic Club on March 27, 1956. Historically, the Civic Club was interested in the well being of the citizens of Carlisle so they have been part of many initiatives to help improve the community. In 1910, they financed the planting of 800 trees around the Borough in order to facilitate a recreational area like Biddle Mission Park. Mrs. Allen J. Stevens was the chairmen for status of Biddle Mission playground lot in 1956 and since then, the Borough has consistently owned the grounds and built it up. For more information on the park’s design history, click here. Richard L. Arnold, A Sesquicentennial Review of the Second Presbyterian Church Carlisle, Pennsylvania 1833-1983, (Chambersburg: Craft Press, 1982) 93. 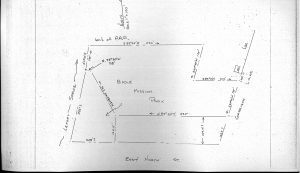 Cumberland County Deed no. 10146. Deed Book G, Volume 12, Page 28. Mrs. Allen J. Stevens to Carlisle Civic Club, January 3, 1956, Carlisle Civic Club Meeting Minutes, Cumberland County Historical Society, Carlisle, 44.